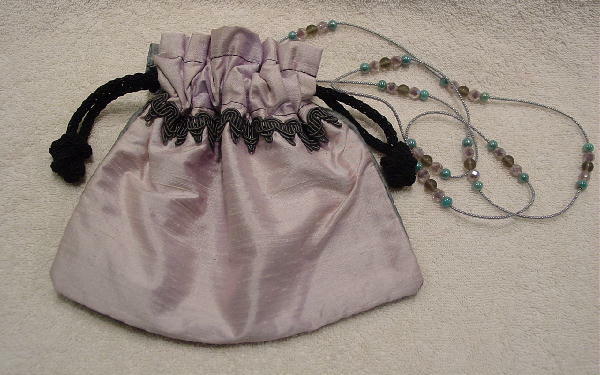 This handcrafted evening bag is by Lisa Violetto and was made in San Francisco. 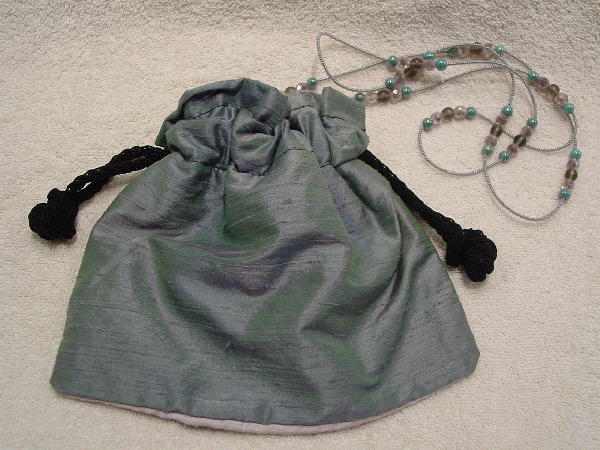 It has a black drawstring closure and a 51" long beaded shoulder strap. The beads are in pale lavender, seafoam, and smoky gray. 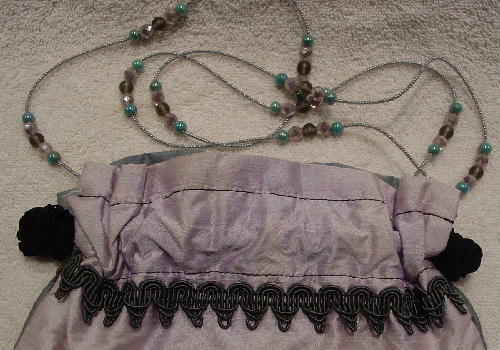 The fabric is iridescent and the front is a pale lavender and the back is a dark seafoam-fern. There is a nice black fabric lining. There are some light yellowish areas near the front top, but they are difficult to see when the drawstrings are pulled. She wore it to a movie premiere.